Did you bring your Arduino, cables, etc? Note: Demonstrations in class will use the Arduino Uno Rev3 board. You can use other boards for your project of course. 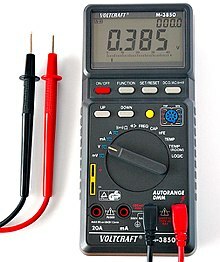 Operating voltage is 5V, input voltage 7-12V (recommended). Limits are 6-20V, don't exceed these, you can harm your board. What is the difference between USB and external power supply power (VIN)? The external can give you more current and you can operate the Arduino without your computer. Is your computer safe? ‘If more than 500 mA is applied to the USB port, the fuse will automatically break the connection until the short or overload is removed.’ (source). Also, new computers will sense when more current is trying to be drawn, therefore they disconnect (source). An option for adapter use here. Remember, you can also have a battery pack. What is DC Current per I/O Pin? If you need more current (Amp)for a device you need the main circuit (5V and ground). Why should you never pull a full 40mA from one digital pin? What does this mean? What is the total current I can access through a a) single I/O pin, b) all I/O pins, c) 5v when USB, d) 5v external power adapter? How do I find out whether I have enough current for my sensors, servos? When you buy something make sure you check the specifications. The info should indicate how much current (Amp) your sensor will use (check). For most of our examples, the USB will give you enough current to operate a few sensors. When to use a resistor and which one? The Arduino operates on a 5V circuit. You don’t need a resistor in case you use a component e.g. a sensor that is designed to work in a 5V circuit (IR sensor – check the data sheet for operating voltage). However, sometimes you want to use a component e.g. an LED, which needs less than 5V electric pressure to operate on. In this case, you need resistor. You can use Ohm’s law to calculate what resistor you need. Can the analogue inputs be used as outputs? Yes, you can define them as digital outputs (pinMode, digitalPins). Can I output analogue signals? Yes, you can use Pulse Width Modulation (PWM). Used with LED, Servo, …we’ll look into this later. 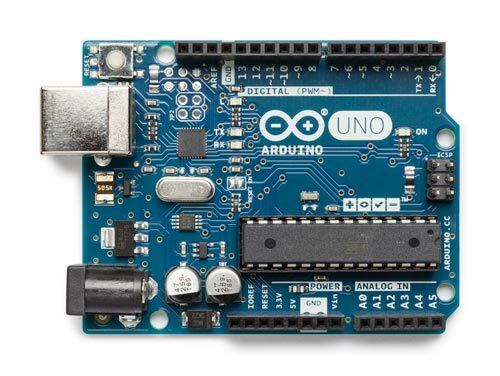 What is the Arduino language? Demonstration of learning material. You should also start building your Arduinos while the demo. What can we use the multimeter for?